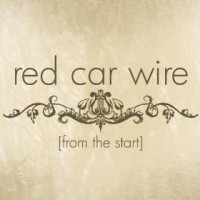 Red Car Wire begins their EP with a little statement before Some Lights Are Dark. They state that "this song is about hope." They definitely intend this to be a great EP by starting with that. The song begins with a small acoustic phrase before rocking out. The lyrics definitely agree with their opening statement. The chorus says "Get me out of this town I need some wing I need to see To see some city lights when I am free." It's the hope of leaving in order to start something new. It's a great pop-punk song that has plenty of meaning to it. Recovery begins big but the lyrics come out slowly with soft guitar and drums in the background. The first verse sounds boring, but don't make that turn you off of the song. The first chorus stays slow but goes and rocks huge coming up to the second verse. The second verse has bigger guitar and drums in the background compared to the first verse, but the second chorus is where the song gets good. The slow chorus along with the guitars makes it pretty awesome. This song can be pretty boring at points but it's still a great song. Back To Me is another okay Pop-Punk song. It starts with guitar before slowing down for the first part of the first verse. The lyrics in the chorus are pretty much non-existant as all they basically say is "back to me". There really is not much to say about this song. It's boring and does not have much meaning. Head Rush is a slower song and is the one I've listened to the most. It's starts with piano and great lyrics. The second verse adds more guitar more good lyrics. The second chorus has a symbol buildup as it starts becoming more rock. The piano continues throughout the whole thing even when the guitar gets bigger. This is definitely either the best or second best song on the album. Atlanta is not close to one of the best. The first verse is very boring and choppy. Once more guitar comes in it improves a little but still stays boring. The chorus is also pretty boring and does not stand out at all. That's all there really is to say about this song. Overall, it's a pretty solid album. There are a few songs that aren't great but the band lost a couple of members in the past year. The band is still trying to recreate themselves and this is a great start for them. You can check out their EP on purevolume HERE.